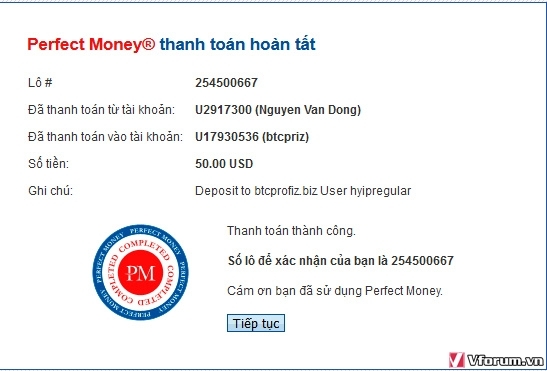 The amount of 1.48 USD has been deposited to your account. Accounts: U17930536->U2917300. Memo: Shopping Cart Payment. 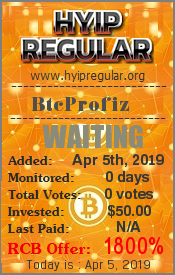 Withdraw to hyipregular from btcprofiz.biz.. Date: 01:38 07.04.19. Batch: 254660893.